Customization. 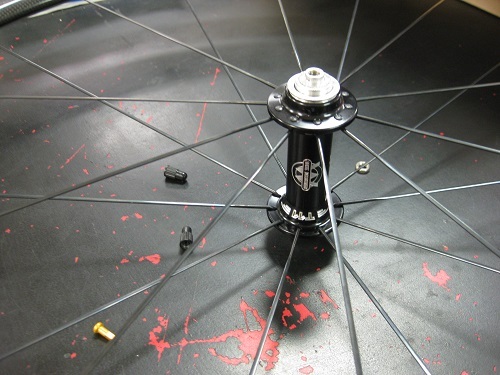 We work with you to determine what combination of hubs, rims, spokes, spoke count and lacing will best accomplish your goals. We also offer a written "wheel menu" in-house so you can easily determine factors like weight and price on your own. Durability. We use the highest quality, most proven components in the industry. We build according to rider weight and the stresses the wheel will endure, and all wheels are built to stringent industry standards by our in-house master wheelbuilder. Ease of service. We stock many of the rims and spokes we build with, so that means in the event of a damaged wheel you're back on the road again in days. Performance. Our wheels easily rival and beat many factory systems in weight, aerodynamic profile and price.